Fall brings many things—crisp air, colder weather, back-to-school, and the important decision of choosing which colleges to apply to. Narrowing down your options is no easy task, and there are many ways to decide which ones are right for you. This week is National Nanny Recognition Week! Take some time and encourage your kids to show your nannies you care and appreciate everything they do for your family. Choosing a college is an important life decision. Making the right efforts to earn that acceptance letter is critical. Here are some tips to avoid common mistakes on the way to the campus of your dreams. Reid Kaiser has been servicing the Colorado Springs, CO community with CNT services since 2011, and has finally opened his doors to a new venture--a Learning Center! He is excited about the new opportunities the space will bring, and looks forward to continuing to Build Stronger Families in his area. Getting your kids ready for going back to school isn't always easy! We're here to help you with five fun breakfast ideas for those early mornings with the kids. Getting your kids back-to-school ready is no easy task! Shopping for school supplies, creating a family schedule, and hiring an after school nanny are all ways to ease the process. Kids love showing their creativity on arts and crafts projects, as much as you love hanging the finished product up on the fridge! 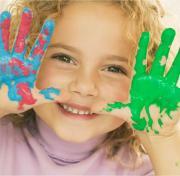 Encouraging your child to participate in creative activities will benefit them in many ways. The ability to build and strengthen friendships is a skill that your child will utilize their entire lives. Working on those skills comes naturally to some children, while others have a more difficult time.